Writer Jana Williams believes in the power of fiction to change lives. Jana’s own life was changed as a child when she discovered the public library had row after row of novels where women lived lives filled with adventure and daring. These fictional women pointed the way to a life where a woman could decide for herself what truly mattered in life. 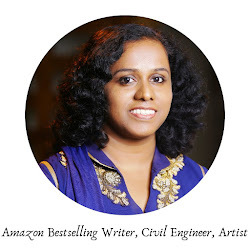 Women like Madam Curie, Amelia Earhart and Nandini Harinath had always done this daring thing - imagining themselves for themselves throughout the ages, but the novels seemed inspirational on a completely different level. Jana hopes to inspire a whole new generation of women and girls to dare to follow their curiosity about life - to dare to step outside the dreams of others and find their own dreams. 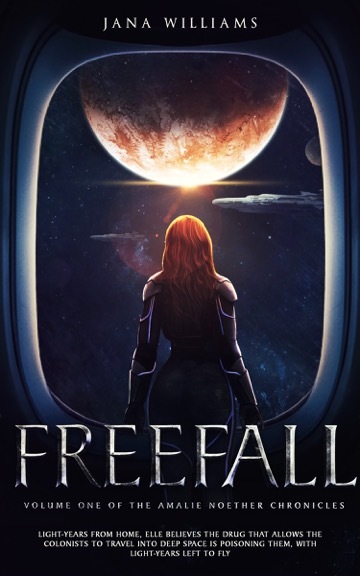 Freefall is the first novel in the three-part Amalie Noether series where Elle Silver and her friends leap into the unknown of deep-space pursuing their dreams of colonizing a new planet. Paris in 2418 is knee-deep in sand, just like the rest of planet Earth, when Elle and 150 other young colonists blast into Space to colonize a new planet. Just beyond Mars lies a wormhole where the transport ship will slip into folded space, and travel to a solar system light years from Earth. Halfway through their journey, Elle begins to suspect the sleep drug they take to allow deep-space travel may actually be poisoning them. As each cycle passes more and more colonists awaken with troubling side effects, like anxiety, depression and unprovoked flashes of anger. On a ship as small as the Vera Rubin this anger could spell disaster if a solution to their problem is not found. Time is running out for the packed transport ship, as tempers flare and arguments erupt. Elle and her friends are in a race against time to find answers to their questions to save their mission and possibly their lives. They thought they had been trained for every eventuality - but poison and saboteurs were never on their list. I loved Freefall. Wonderful characters, with a strong female lead - and a fascinating new world to explore in this book The science is completely credible and the storyline had me really wondering what would happen next. I can’t wait for the next instalment in the series! "I loved this book. Can't wait for the sequel." "Freefall is smart, funny and utterly engaging. A really good adventure story with a strong female lead." I love fantasy genre. Thanks for the review. Will check this book out. A futuristic plot, interesting one. Seems to be an interesting book. Thanks for the review. I am not much of a sci-fi person - space fantasy doesn't appeal to me much. But I liked the way you have reviewed the book. 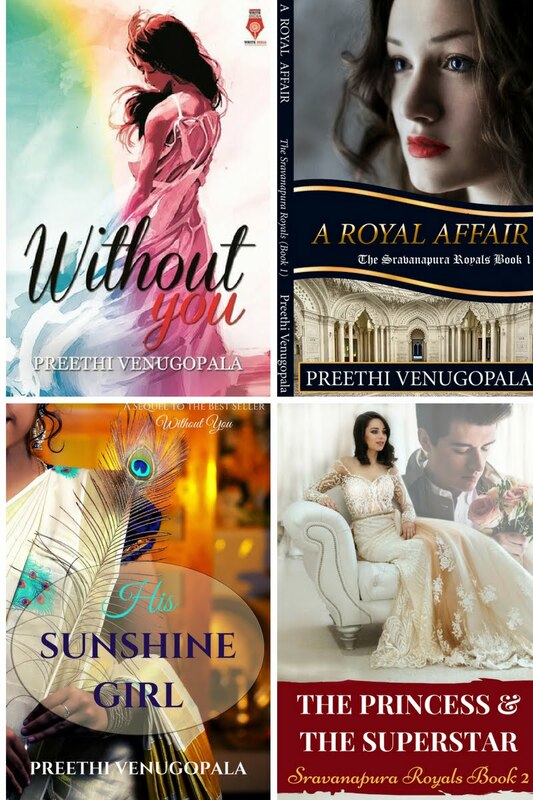 Thanks Preethi for the review. Sounds promising. Would definitely love to read the sci fi mystery. Hey thabks for the review.. will surely try it..
A nice review. I am tempted to acquire the book and read. Great! Loved the premise of this book! The premise sounds so "my type of book". Thanks for the pre-review. Would check it out. A futuristic premise. sounds interesting. I need to explore more on fantasy genre, thanks for introducing to me one. A kind of book, I would like to read. I will definitely read this one. Thanks for the sharing the review. I love this genre, and reading extra terrestrial or inter galaxy boost my imagination go zoom too. Lovely review thanks for sharing. This bio actually sounds like an awesome premise. I love sci fi themes myself. Will check it out. Will love to read after intriguing review. That's an interesting genre and your review is very well written. I used to read science fiction when I was in school. Have not read this genre since a long time. Now I am tempted to read the book. Thanks for the review. 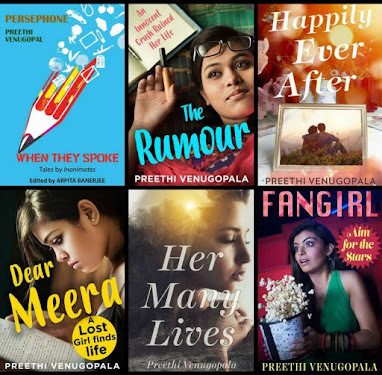 I liked the author bio, Preethi. Makes me more interested in the book. This sounds like a great book. I will look out for sure. Thanks for teh review. Dreams of colonising a planet seems far fetched today but maybe attainable in the near future. I'm not crazy about sci fi but this seems to be an interesting read. sounds interesting. Thanks for the review . would love to read it. thanks for the review. I am making a reading list for the next month and this book is definitely going in my reading list. You have reviewed pretty well and I loved the writers thought over fiction. Discovering a new planet is all the more exciting and adventurous. I like to know that is out of this world. I love women lead fictions. I think, this is going to be my next book read. Thanks fod giving me a new read. I love this genre of a plot set in future. Will give it read after reading your review. I loved reading the plot..its interesting.. I think my son will super love this one he really loves to know more about planets, sci fi. Female protagonists are always a delight to read though I am not into fantasy. Absolutely love the uniqueness of the story. I wonder how people come up with interesting scenarios like these .Brilliant!